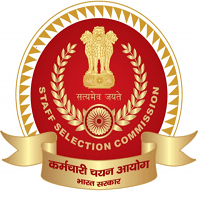 Staff Selection Commission (SSC) has organized a Combined All India Open Examination for recruitment to various Posts in Government Departments for which Graduation is the minimum qualification. Exam pattern and syllabus of SSC CGL Tier 1 Syllabus 2019, Tier 2, Tier 3 exam are discussed here. All the Eligible Candidates Will Face the Exam. Soon the Tier I Exam Will be Conducted on the Various Dates of August. More Details About the Exam is Provided Below. SSC CGL Tier 1 Syllabus 2019 Info. Is Given Below. TIER II PATTERN:- It will also be Objective Type, Online Paper. Paper-IV will be for those candidates who have applied for the post of Assistant Audit Officer (AAO) in C&AG. The said paper would comprise two parts i.e., Finance and Accounts for which there would be 40 questions carrying 80 marks and Economics and Governance which would have 60 questions carrying 120 marks. In all, there would be 100 questions carrying 200 Marks with each question carrying two marks. An additional stage of Examination, i.e. Tier-III, has been introduced w.e.f. CGLE, 2019. Details about Tier III Exam is given below………. Candidates are advised to keep in touch the Official website of SSC and visit this page SSC CGL Tier 1 Syllabus 2019 to get the Updates About Exam. Also, the Candidates Can Bookmark (WWW.JOBRIYA.IN) us for regular updates regarding the Exam, Admit Card & Other Related Information. I forgot to which post I have applied in ssc cgl.How can I know it? Vineeth Download your Application Form..
market trend is moving will come into spot gold trading. Get the appraisal around the jewelry first, such as gram weight, then negotiate around the new purchase. it wont remain safe if it’s not properly stored. Sir, is paper 3 is compulsory for the of AAO? Oooo….. You want that descriptive exam should held in English only….. Than translate this sentence…. Wo subah LOTA lekar maidan jaata hai.